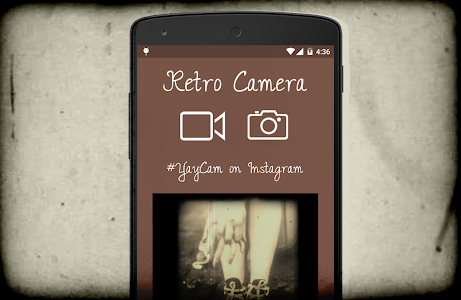 YayCam Retro Vintage Camera, your video and photo retro camera with 8mm and polaroid effects, perfect as a movie maker for Instagram too. Miss your old cam? This is it. This vintage camera takes your photos and videos to the next level with old camera effects and polaroid frames. It is your perfect instagram video editor. Apply vintage themes to your videos and photos,similar to the old polaroid camera or the VHS tape camcorders. 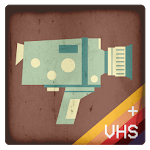 - Create your awesome hipster style vintage videos, with retro video effects and vintage filters. Similar to a lomo camera. - Get more instagram followers with this vintage video maker, video recording with this beatiful camera. - Best live camera effects with retro style. 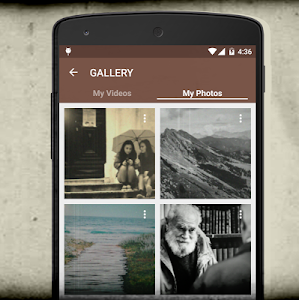 Use the vintage filters to make beautiful photo vintage pictures. 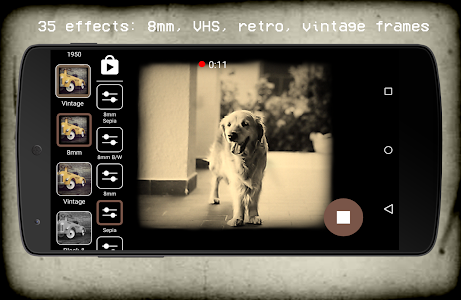 - Mirror effects with vintage effects, and you can add filter to video camra. Many free classic camera effects. - 20 surprise of the day live camera filters: film negative, antique picture frames, retro film and much more vintage movie effects. - We have several camera classic frames similar to hollywood movie effects or a new york street camera. Take a vintage shot as an old bollywood or old hindi movies. - New effect, VHS! 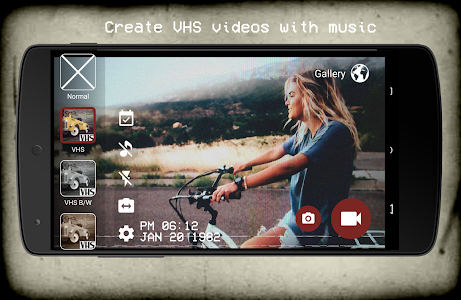 Turn your phone into an old Camcorder doing VHS video tapes. Most instagram filters apps are focused on photos, checkout our free vintage camera to make retro instagram videos and the best vintage photography. 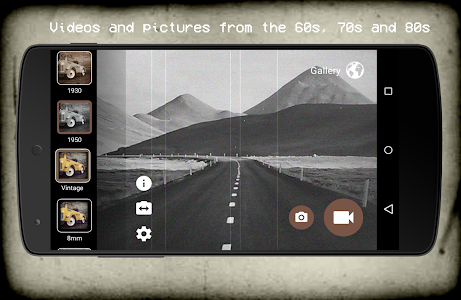 Download video camera with retro picture and old photography to make your best vintage cards ever. This hipster camera and camcorder with 8mm polaroid effect and camera filters is perfect for lifestyle and photographic styles: hipster, indie, grunge, ethics and bokeh! We are in testing mode, so please any feedback appreciated. 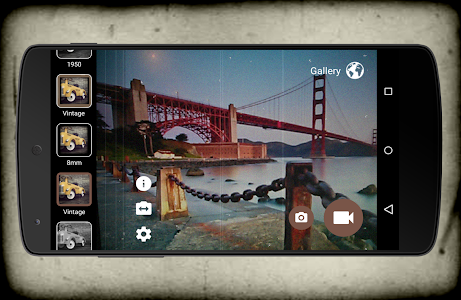 We want to be the best retro camera with effects for Instagram in Google Play. Similar to "Vintage Retro Camera + VHS"